The Astonishing X-Men 2-Disc Blu-ray Collection is the perfect gift for the ultimate Marvel fan. This collection is available in stores nationwide November 13, 2012 from Shout! Factory, in association with Marvel Knights Animation. The 2-Disc Blu-ray collection boasts all four Astonishing X-Men adventures (Gifted, Dangerous, Torn, & Unstoppable) from Joss Whedon, the mastermind behind the massive hit film Marvel’s The Avengers, and award-winning artist John Cassaday. 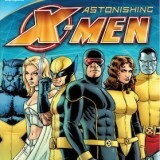 As one of the most important X-Men stories of all-time, it features over 5 hours of engaging animation combined with non-stop action, as well as all-new cover art illustration by Cassaday. Before he triumphed with the live action The Avengers, Joss Whedon and John Cassaday had already created a comic story-line that featured the X-Men that was broken up into four parts. The start of the series is theGifted storyline which revolves around the idea of a “mutant cure” which would remove the special abilities (or afflictions depending on how the character viewed it). It sounds like that series must have been the basis for the live action X-Men: The Last Stand film which I am familiar with so it wasn’t too bad to jump into this midstream. One of the things that’s different from the film is that the character of Colossus died in the comic book world and was brought back while he never died in the film series. His return is explored by Whedon as well as his burgeoning romance with Kitty Pryde. In Astonishing X-Men: Dangerous, life has returned to normal for most of the instructors and students but there’s still one young man still struggling with the the concept of a mutant cure. Without Professor Xavier around who could have sensed and helped the boy, the young man is goaded into jumping to his death by what appears to be a fellow student. Soon enough, the X-Men realize that hidden the threat to them is the newly sentient Danger Room who tricks them into removing her core programming which was designed by Xavier to prevent her from actually killing people in the training room. That separate string of coding that counteracted her other design of trying to kill the X-Men to provide realistic training is the very reason she became sentient. That conflict between her two directives has made and their inherent illogic has made her self-aware and very angry. Now calling herself Danger, she informs the X-Men that not only does she know all of their strengths and strategies from their training sessions, but she also knows every one of their vulnerabilities. In the third chapter known as Torn, it’s revealed that the newly reformed Hellfire Club that includes Cassandra Nova, Emma Frost, the enigmatic Perfection, Negasonic Teenage Warhead, and Sebastian Shaw has been blackmailing Emma Frost to do their bidding. Using her mind altering powers, Frost has been undermining the X-Men’s confidence and focus. For Kitty Pryde, she believes that she had a son with Colossus and she will defend it from anyone that poses a threat to it, even her fellow X-Men. Scott Summers (Cyclops) is forced to deal with the guilt over his powers and a childhood trauma as well as the fact that he and Emma psychically fooled around together while he was still seeing Jean Grey. Wolverine is forced to believe that he is a wussy little boy who is unfortunately being chased by the Beast who has been reduced to a feral animal who likes the taste of the Wolverine. In order to beat the Hellfire Club, the X-Men will have to break out of the mind control before they destroy themselves. The final chapter is a storyline known as Unstoppable, where the events from Torn are continued, with the X-Men and their captive Ord teleported onto S.W.O.R.D.S. spaceship by Agent Brand and taken to the alien planet Breakworld. There’s a prophecy that Colossus will destroy the planet and multiple factions are in motion to either help make that happen or to prevent it. The prophecy is news to Colossus who is trying to reconnect with Kitty Pryde who has pulled away because of what happened to her earlier at the hands of the Hellfire Club. Thanks to an ambush, the X-Men and Brand’s forces are split up and meet varying results. While I didn’t care for this last chapter as much as the earlier ones, there’s a nice twist towards the end that makes it a lot better. There’s also plenty of funny bits that are very Whedon-esque. These story-lines prove why Joss Whedon was the perfect man to write and direct The Avengers. He has a firm grasp on who the characters are and their relationship is to one another as well as his ability to write interesting arcs for multiple characters. I’m still not crazy about the motion comic concept, but it was pulled off a lot better in these short movies than it was done in Thor and Loki. I really wish that Marvel would just make an actual animated movie like DC is doing with movies like Batman: Year One or The Dark Knight which is the perfect example of how to transfer the story and artwork into a fully animated movie. It doesn’t help that each segment is around ten minutes long and in between each segment you have to go through the same opening and closing title sequence. While you can now play the overall story with a “play all” selection, you are still stuck watching the ends credits and opening sequence in between every chapter. That’s fine when it’s being rolled out chapter by chapter on the internet, but it’s very repetitive and annoying when you are trying to watch it as a movie. In any case, this is the best motion comic I’ve seen, as the animation flows better and the story is for the most part excellent. This motion comic is presented in 1080p (1.78:1) transfer and the quality improves with each story-line. Gifted looks the worst out of the bunch, but it gets better from there. The movies’ style is is true to artist John Cassady’s original artwork which means that there’s a ton of red and blue hues which includes some minor artifacting and banding throughout. Detail is pretty good overall and much better than the previous DVD releases. Colors are bright but on the warm side and black levels are decent but not as strong as I would have liked. While the previous DVD versions of these films offered very poor audio quality, I’m happy to report that this DTS-HD Master Audio 2.o lossless mix is a lot better. The dialogue is intelligible but is drowned out occasionally by the sound effects. It doesn’t happen very often and I would still take this trade-off over the uninspired mix from the DVDs. Another highlight is the fact that the voice actors are well cast and deliver the dialogue well. For a two channel presentation, this lossless mix is pretty good. Another reason why you should pick up this Blu-ray over the its DVD counterparts is the extras since the DVD didn’t have any. This set doesn’t have a lot of them but at least there’s something and they are in HD too. A Conversation with Joe Quesada and Neal Adams - An almost twenty minute discussion of the two men as they are filmed separately. 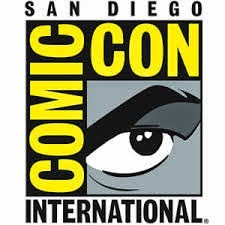 The two talk about the motion comics, how they are made, what they think about the new format, and Adams really pushes for it as it appears that he owns the company that makes these comics turn into motion comics. Music Video - ”Rise Up” by David Ari Leon & Guy Erez. Behind the Scenes: Marvel Knights Animation - Joe Quesada, Neal Adams, Alex Maleev, David Goldberg,Kristine Stone, Corinne Hall,and more talk about the whole motion comic process from the voice acting to the 3D manipulation and the lengths they will go to keep the original artwork intact. Trailers - Spider-Woman: Agent of S.W.O.R.D., Black Panther, Iron Man: Extremis, and Thor & Loki: Blood Brothers. While I really liked the story that Joss Whedon created for this series, I’m not a fan of the artwork or the process used to make this. This could have been much better if it had been traditionally animated instead of doing it in this way. I’m sure this is a lot cheaper to produce but Marvel has a ton of Avengers money and they should do these movies right. I will say however, that this Blu-ray set is a lot better across the board over the previous DVD releases. The audio and the video are much improved and this set offers some limited extras which were non-existent in the previous releases. If you are a fan of Whedon (and who isn’t at this point), then you should give this set a try for the story-line alone.